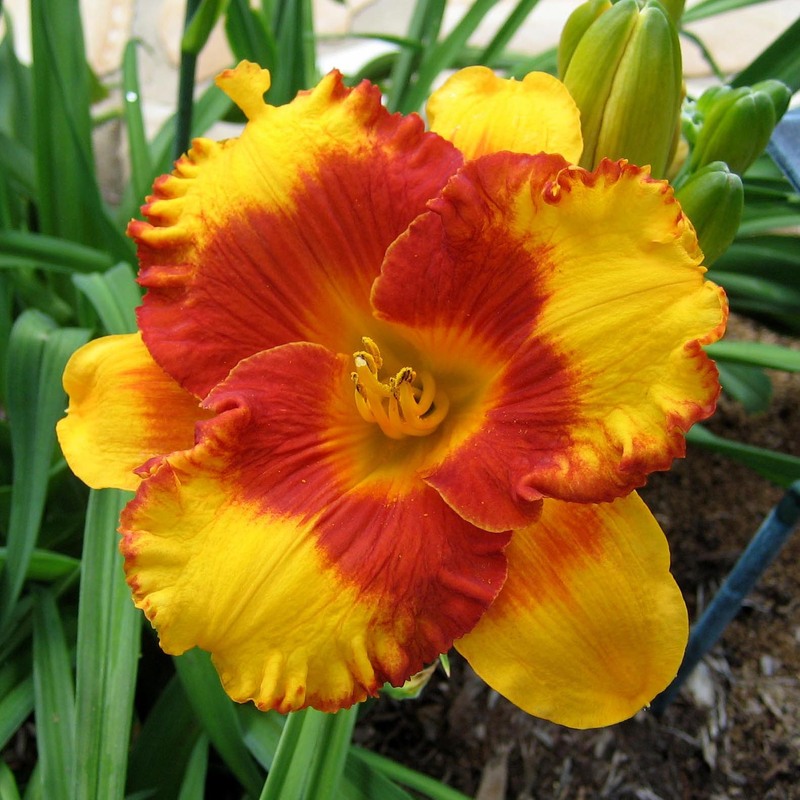 Annual award for the most outstanding eyed or banded daylily. 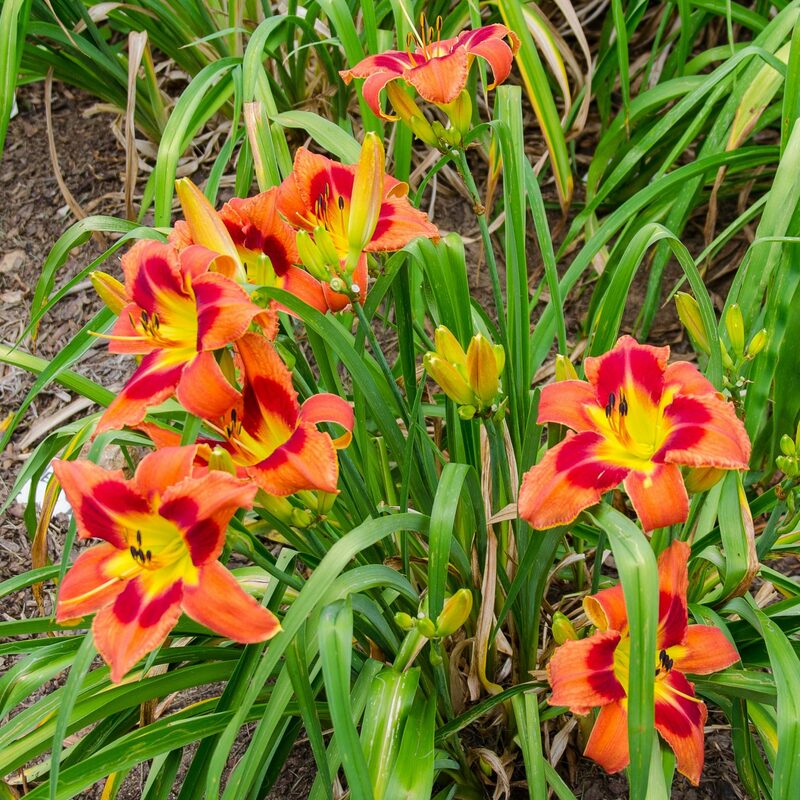 Mr. Stevens became known for wide-eyed daylilies, unique amongst the daylilies of the 1970s, to include the seedlings that produced Stout Medal Winner ‘Fooled Me’ (Reilly-Hein, 1990). Voted by Garden Judges. 1999 SILOAM MERLE KENT Henry-P.
1996 SILOAM DAVID KIRCHHOFF Henry-P.
1989 SILOAM VIRGINIA HENSON Henry-P.
1986 BETTE DAVIS EYES Kirchhoff-D.
1985 SILOAM BERTIE FERRIS Henry-P.
Don C. Stevens, educator, artist, and daylily hybridizer, was born April 7, 1930 in Reading, Massachusetts, and was raised in New Hampshire. 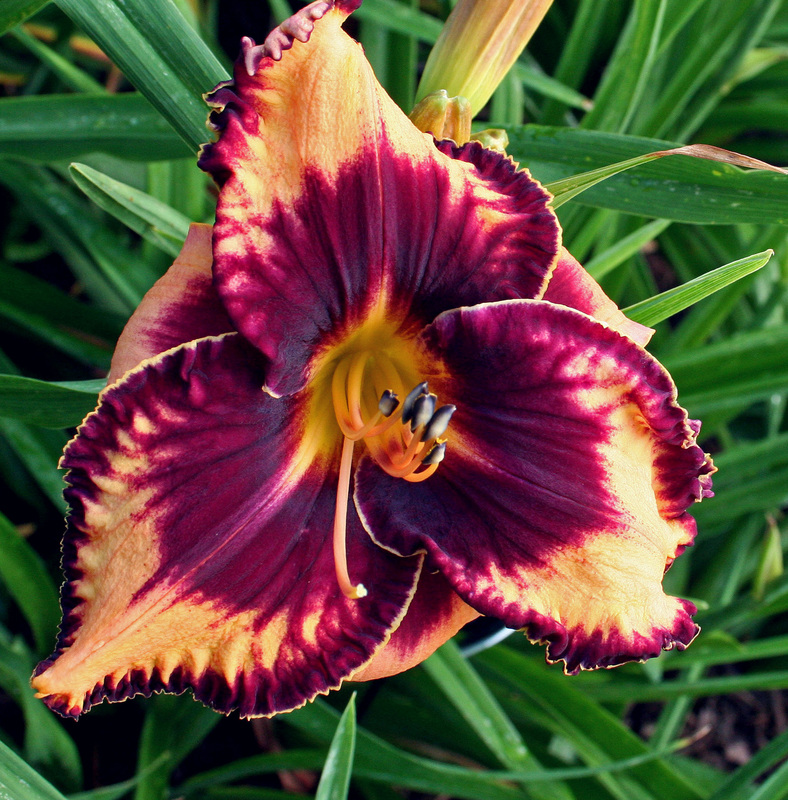 Mr. Stevens became known for wide-eyed daylilies, unique amongst the daylilies of the 1970s, to include the seedlings that produced Stout Medal Winner ‘Fooled Me’ (Reilly-Hein, 1990). 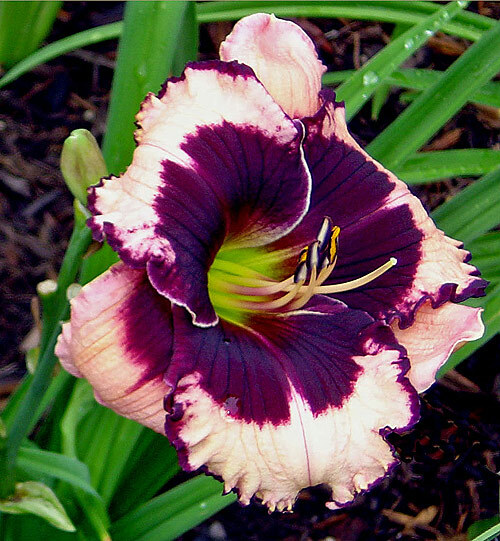 Cultivars that interested him included ‘Rocket City’ (Hardy, 1967), ‘Darius’ (Harris –H., 1974), and ‘Dance Ballerina Dance’ (Peck, 1976). 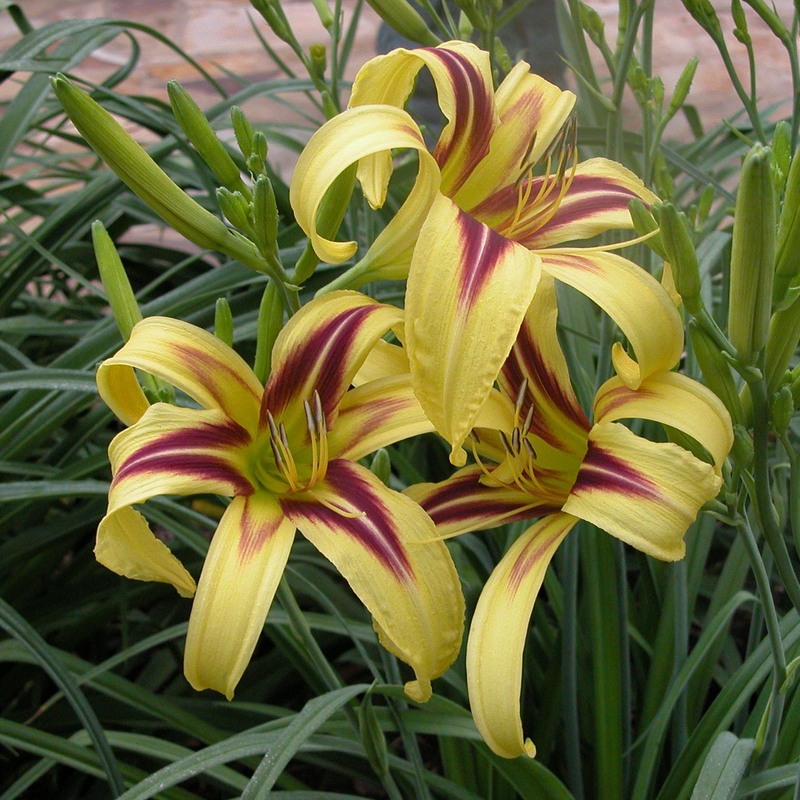 He attributed many of his breeding lines to Virginia Peck. 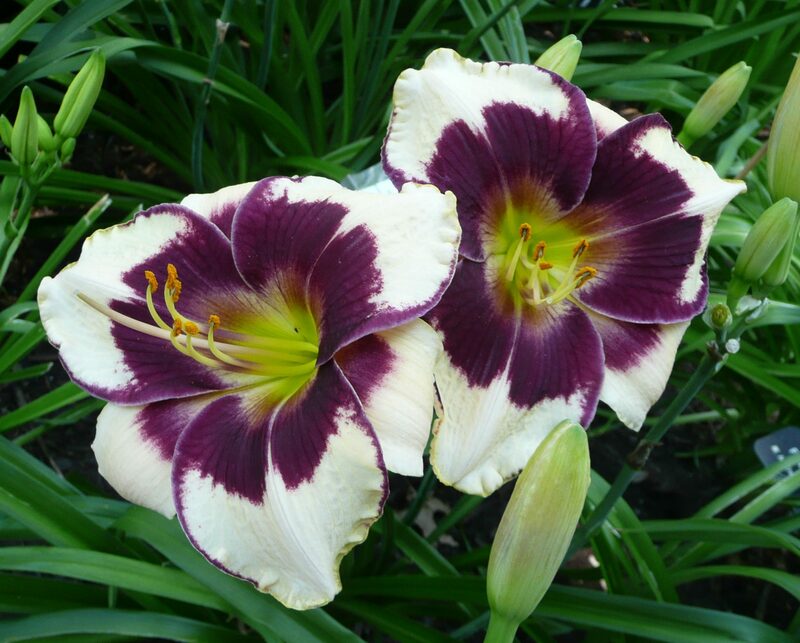 Other hybridizers that interested him included James Marsh, Bro. Charles Reckamp, and Pauline Henry. 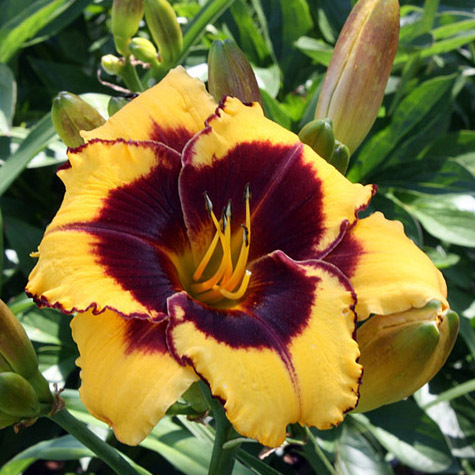 Mr. Stevens was awarded three Junior Citations for the cultivars ‘Bandit Man’, ‘Hot Town’, and ‘Love Is’. 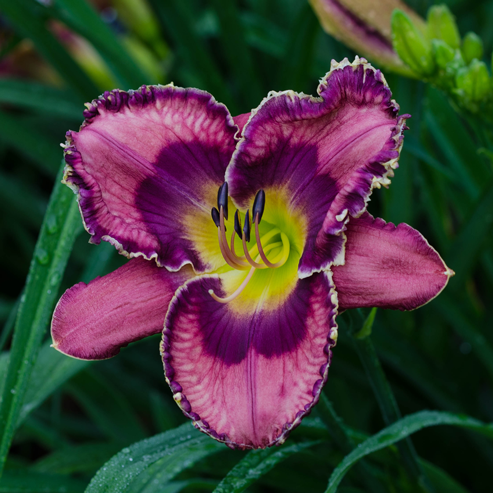 He was awarded Honorable Mentions for the above mentioned as well as for ‘Black Eyed Susan’, ‘Classic Caper’, ‘Cool One’, ‘Flaming Delight’, ‘Holiday Delight’, ‘Looking Up’, ‘Outrageous’, and ‘Sandra Elizabeth’. 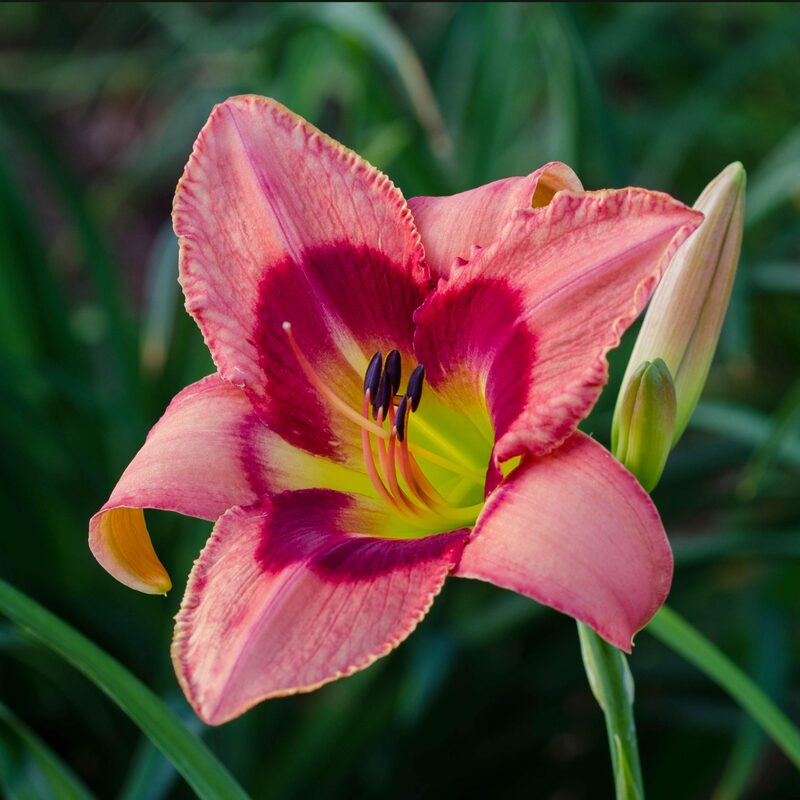 Registration is shared with Bob Seawright for ‘Jerusalem’, and ‘Margaret Seawright’, both also Honorable Mention winners. 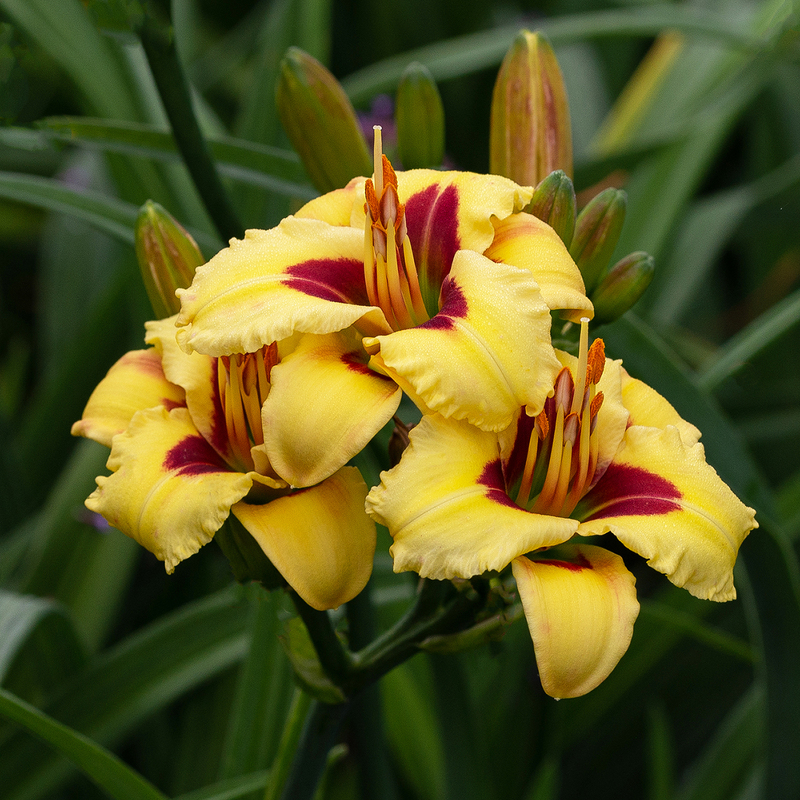 In 1985 the American Hemerocallis Society announced the first winner of the newly established Don C. Stevens Award for hybridizing, H. ‘Siloam Bertie Ferris’ (Henry-P., 1981). 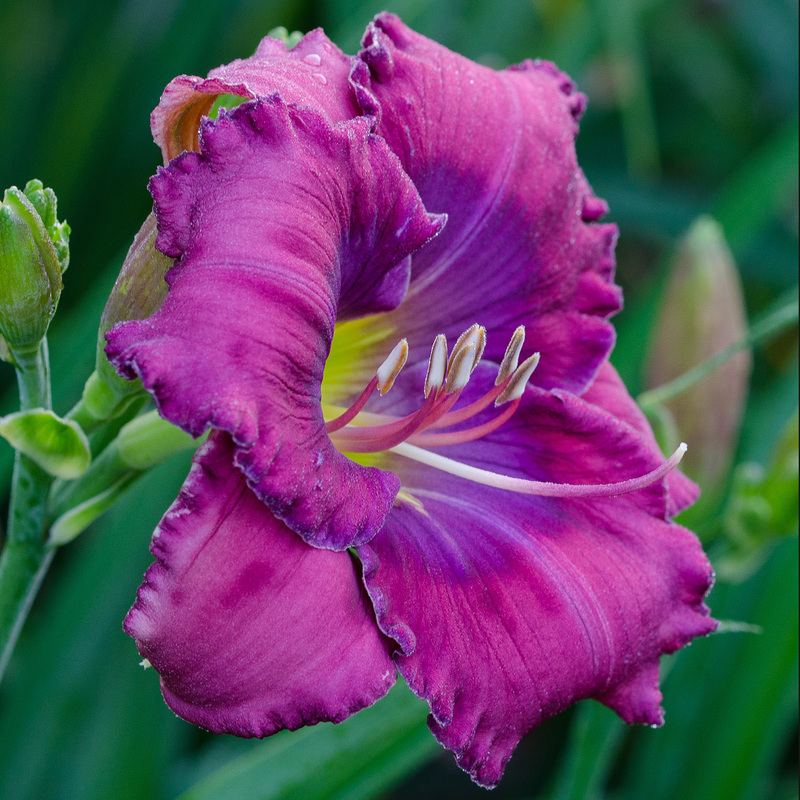 Nominated cultivars are voted on by Garden Judges only and represent what the judges believe to be the most outstanding eyed or banded cultivar. 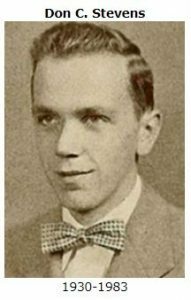 Mr. Stevens taught reading and English in Bedford, Massachusetts for twenty seven years. 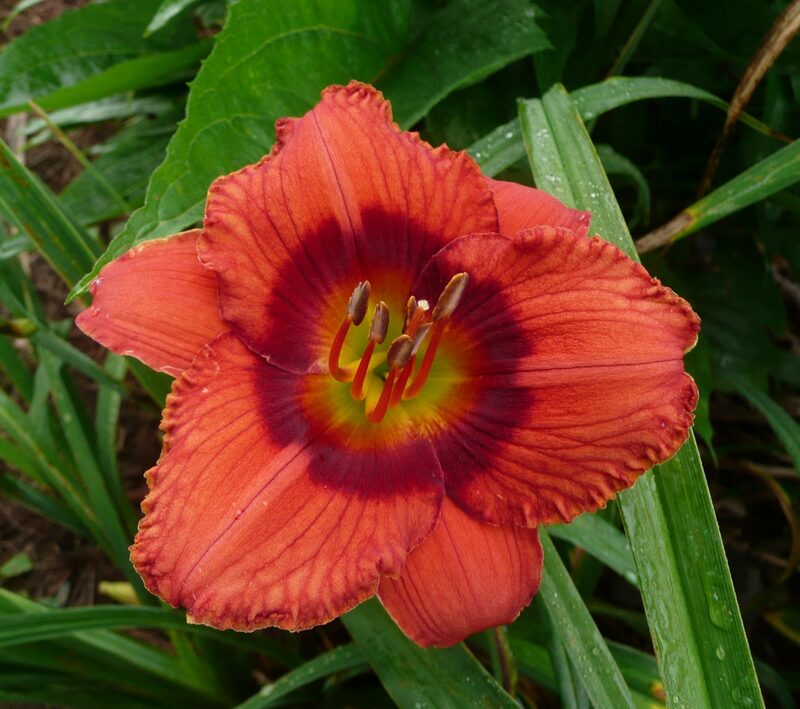 Upon retirement, his year was split in half; from April to October, he gardened, and in the “off–season”, October to April he was self-employed, concerning himself with custom faceting of gemstones and silversmithing for jewelry. 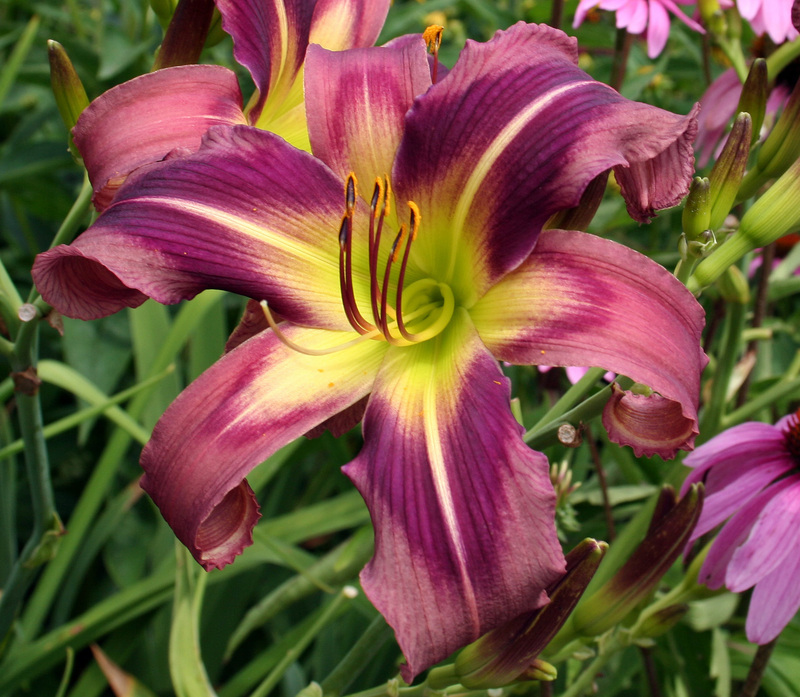 In 1980, his garden was part of the Boston National Convention garden tours. 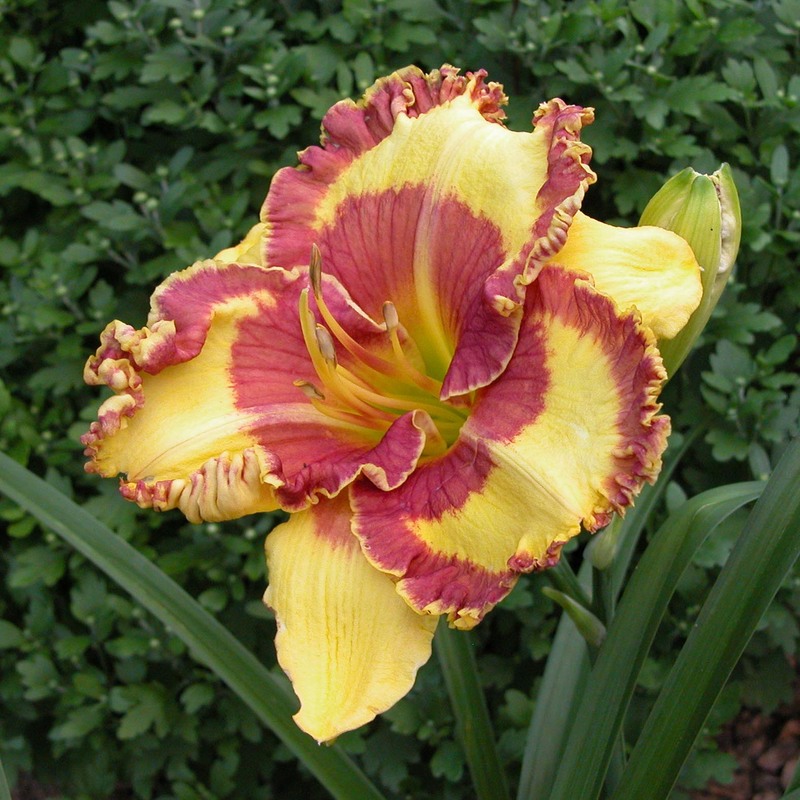 He became ill between the years of 1981 and 1982, but still hybridized until his last summer, 1983. Mr. Bob Seawright retained the seeds and planted them. Mr. Stevens passed at the age of 53, in Reading, Massachusetts.